Muslims abound in Singapore therefore it is important to cater to their every need, especially when it comes to food. This is why halal foods are becoming more popular not only in Singapore, but also in other parts of the globe. A positive news for people who enjoy halal food- a company based in Singapore has just launched a smartphone application that encourages and enables Muslim travelers and food enthusiasts to share their Halal restaurant discoveries from around the world. Halal is the term used to refer to food and other products that adhered to Islamic requirements as mandated by Islamic Sharia law. 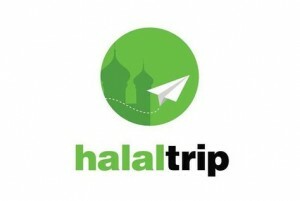 The app, called “HalalTrip” is free and available on both Apple iOS and Android gadgets. The app lets the users snap photos of the Halal cuisines, upload it and then share it through their various social media accounts. When you click the said photo, more details about the dish and where it can be found are displayed to inform others who are interested. The application is available in two interfaces- English and Arabic. An added feature also uses the location of the user to display various Halal foods that are served in restaurants near them. HalalTrip is affiliated with a Muslim-oriented business company called CrescentRating since the application’s chief executive is also part of the said business group. This app is very helpful especially for travelling Muslims who are concerned with what they are eating when they travel to other countries. 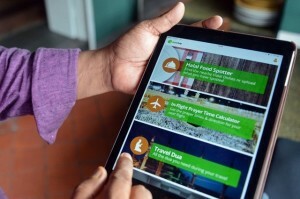 The app shows them various halal food choices that they can enjoy even in another land.